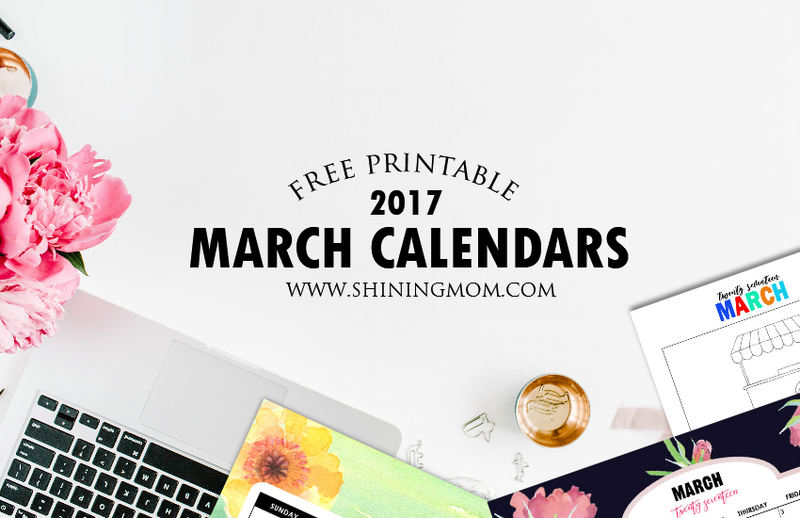 Free Printable March 2017 Calendars: 12 Pretty Designs! 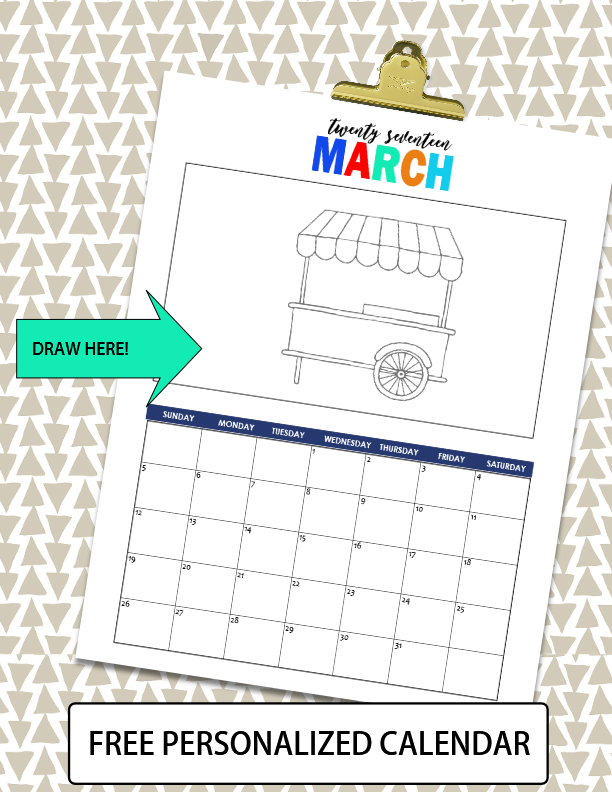 Free Printable March 2017 Calendar: 12 Fun and Fresh Designs! 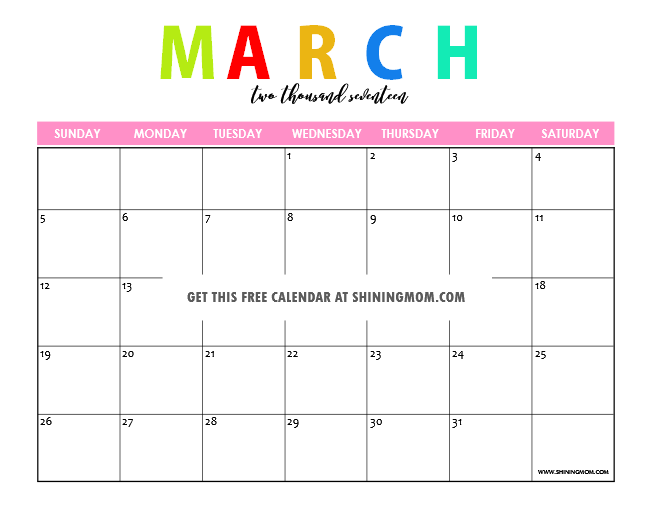 It’s time to plan your March! 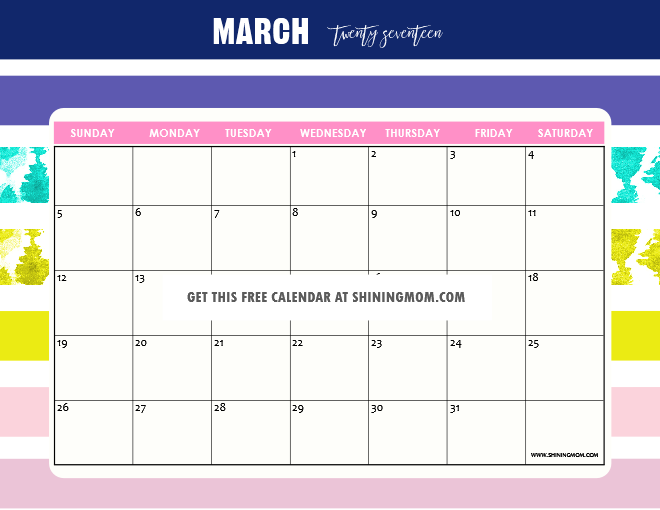 Once again, here are Shining Mom’s free printable March 2017 calendar copies that you can use outright! 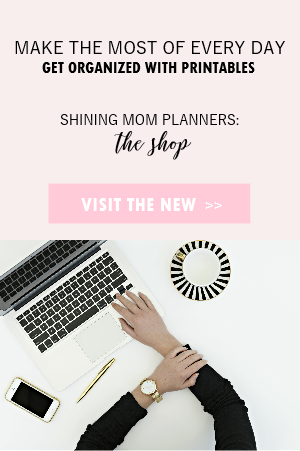 Come browse through, designs for this month are fun, fresh and chic! You’ll love them! 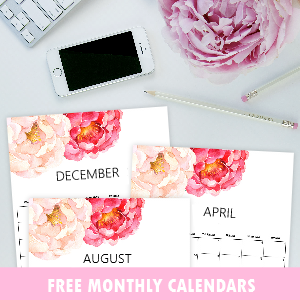 A dozen of free pretty calendars for March that you can print and use outright! 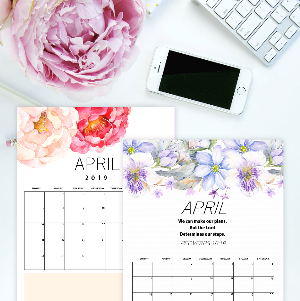 This particular design has been published in my past two monthly calendar issues for this year, and it’s one of my favorites, I must say! That watercolor flower painting over the charcoal gray background is darling, isn’t it? 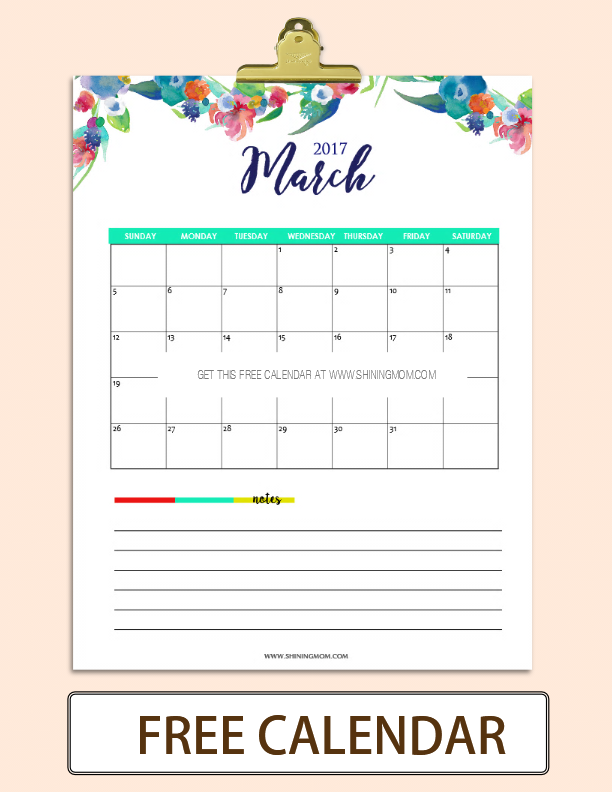 You can definitely use this piece to prettify your home or workstation while you use it as your March 2017 calendar planner! 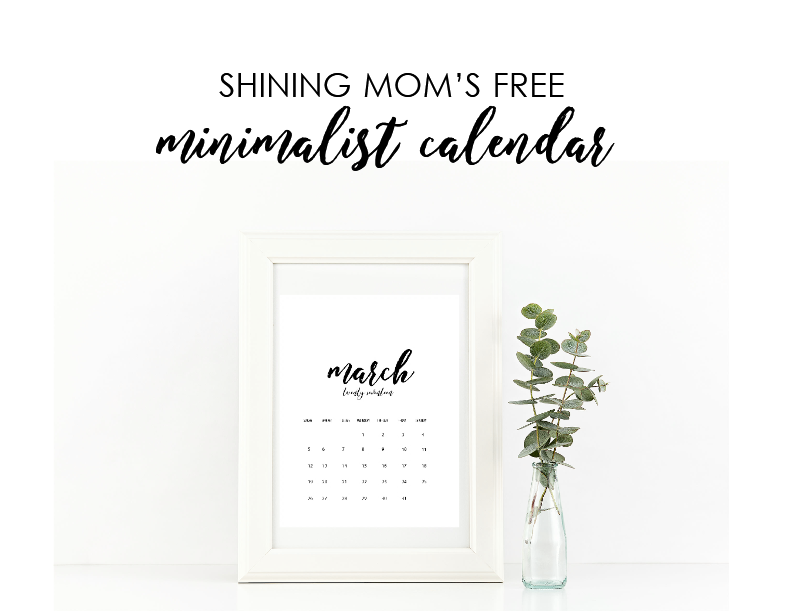 Moving on, the next calendar that I am sharing with you is pretty in simplicity. It comes with bold hand painted floral elements purchased at Design Cuts. 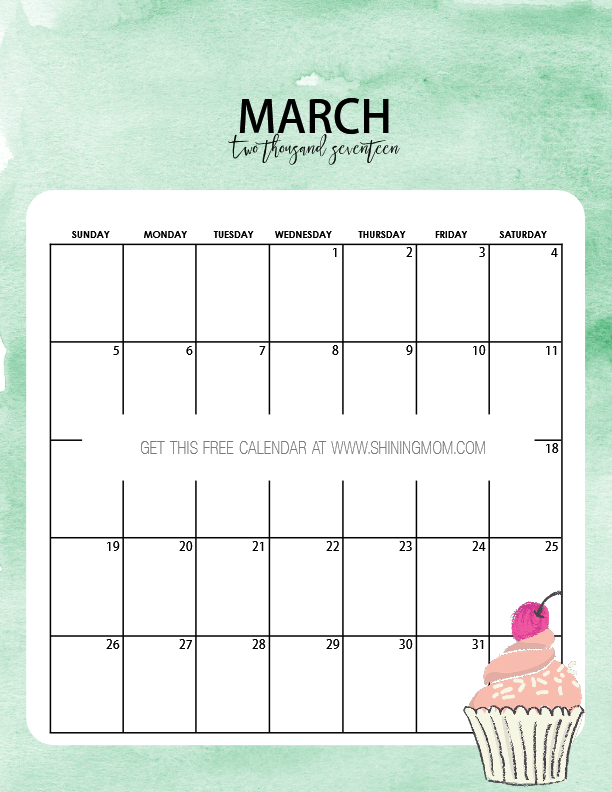 If you’re looking for a free printable March 2017 calendar which has an area for you to write your personal notes and reminders, be sure to grab a copy of this one this one! 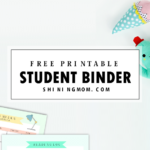 It will make a great calendar to insert in your personal binder. 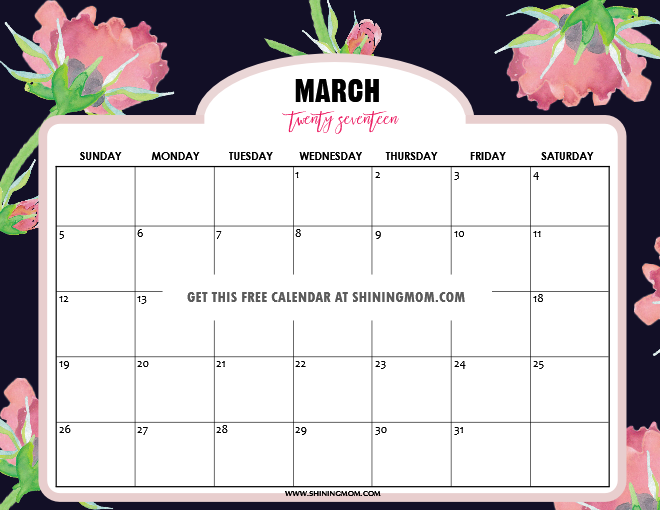 Free Printable March 2017 Calendar: Party Feels! 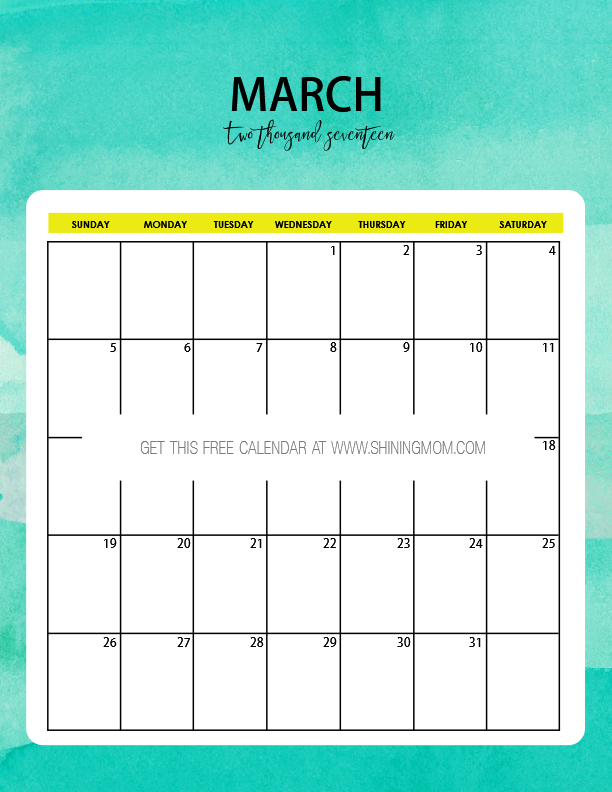 This free calendar is especially created for those who like the color turquoise. 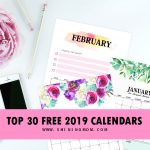 This one comes in textured background and just like all the calendars you see in this post, you can use this anywhere you like. 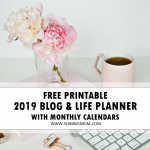 Have you downloaded a copy of my most-love planner yet? Again, here’s a calendar that matches its design perfectly. 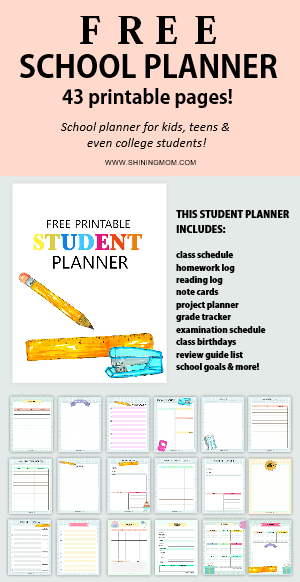 It comes bright and cheery, just like the Design a Life You Love planner. 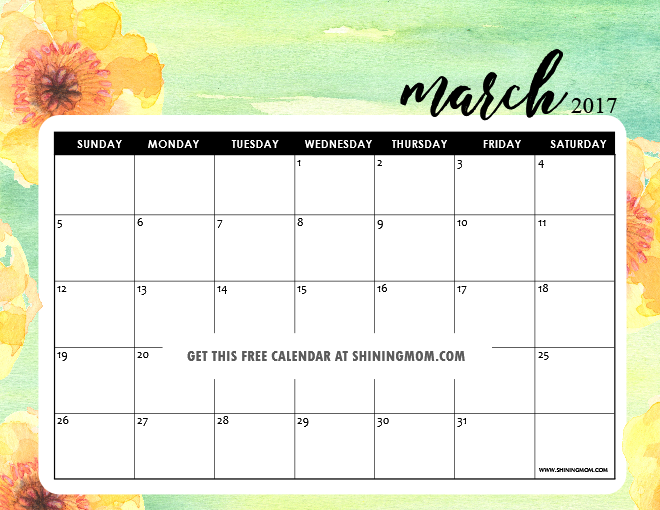 Be sure to get your copy of this free printable March 2017 calendar if you’re also using my awesome planner! 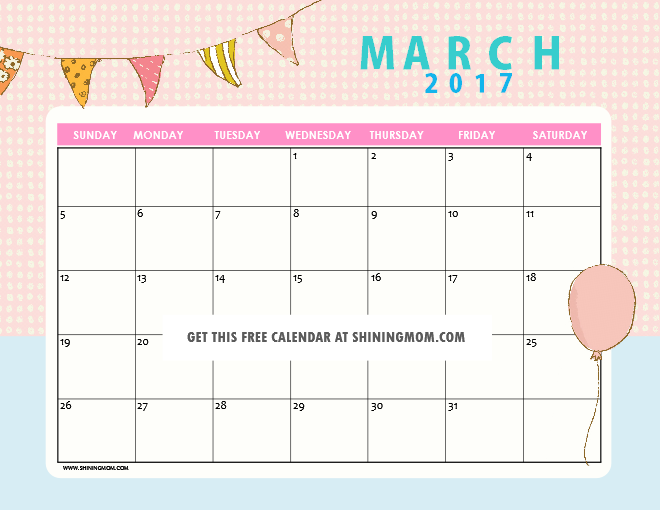 I created a cute March 2017 calendar for the little girls, of course! To make it sweet, I added a pretty cupcake to design the page. 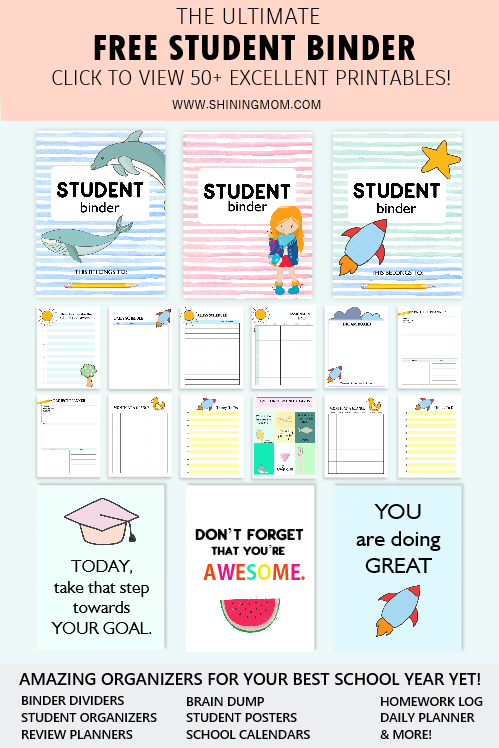 School kids can use this calendar to plan their activities in school, such as projects and homework. Mommas, print this off for your little girls! 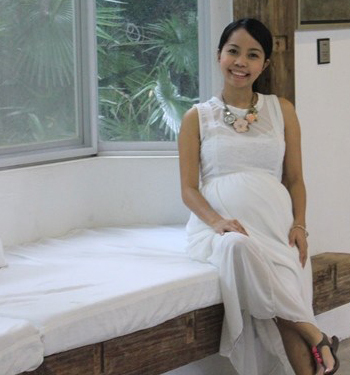 The last in the list is definitely feminine, elegant and charming. 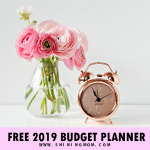 Ladies, use this for your blogging, meal planning and more. It looks inspiring and refreshing, isn’t? I am totally digging the textured background and the watercolor floral elements! 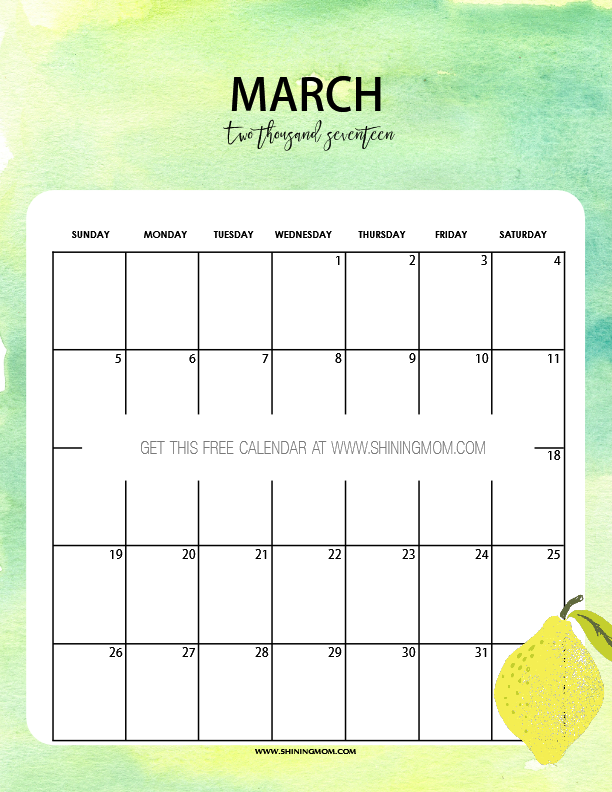 Grab a copy of this free printable March 2017 calendar! 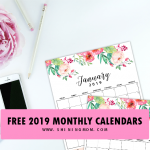 Get your calendar copies which come in two sets. The first set is in portrait while second one is in landscape. Snag your copies here and here. Print your calendar copies. Note that they are all designed to be printed in 8.5×11 paper. That’s it! I hope you can use these calendars! Let’s all have an #AwesomeMarch! Aww, you’re most welcome! I’m delighted that you like the calendars! Hello, the PDF files are linked within the post. Thanks! 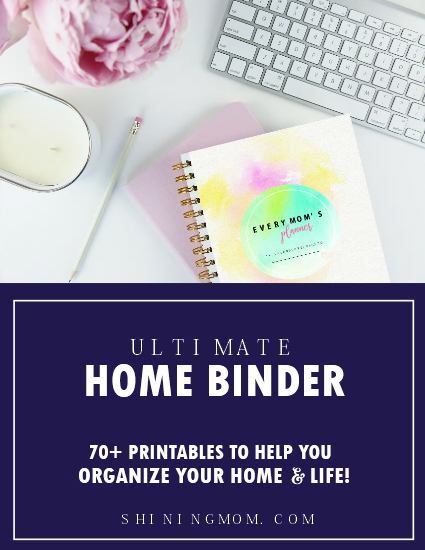 I’ve been loving your calendar! Those are so cute! Thank you!! Thanks, dear! I am so flattered! These are so beautiful I can’t decide which one to use! ?